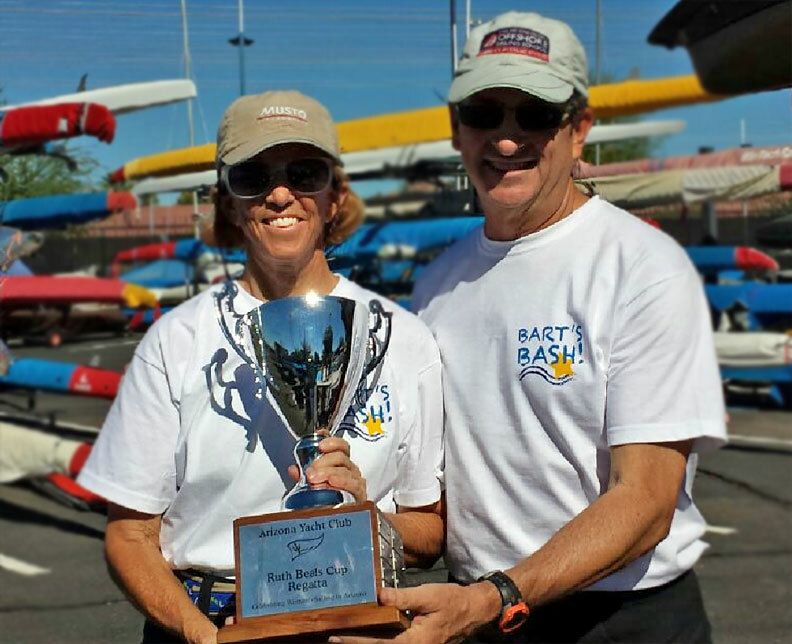 Registration is now open for the 2015 Ruth Beals Cup to be held at Tempe Town Lake Saturday, November 14. Click here for race documents and entry link. 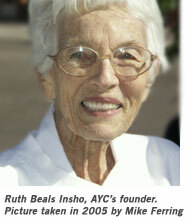 This annual event commemorates the founder of the Arizona Yacht Club, Ruth Beals, and is a woman-at-the-helm regatta (but the crew can be male or female). The races are sailed on Capri 14.2 sailboats. You can use your own boat or pick one out on race day from the Arizona Sailing Foundation boats. Gates open for boat selection and rigging at 8:15 am and the first warning is at 9:30 am. Entry fee is just $10 and includes a Chick-fil-A lunch (arranged by 2013 champ Cindy Pillote). Besides just being a good time on the water, the winner will have her name engraved on the Ruth Beals Cup. The regatta was first launched in 2005 and has had a history of either very strong wind or almost none. What will happen this year? If you have any questions, contact Fleet Captain Steve Brown.